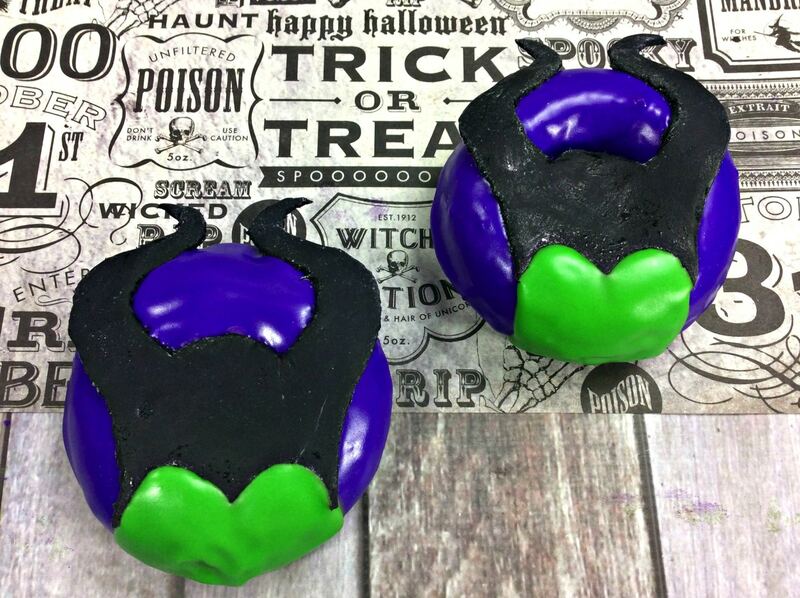 These Maleficent Donuts are a super fun way to show your excitement about the Maleficent movie sequel. Plus, they are perfect for Halloween. Or, let’s be honest, just any day! Mr. Serious and the oldest actually checked out the first movie and shared their thoughts. Have you ever made homemade donuts? 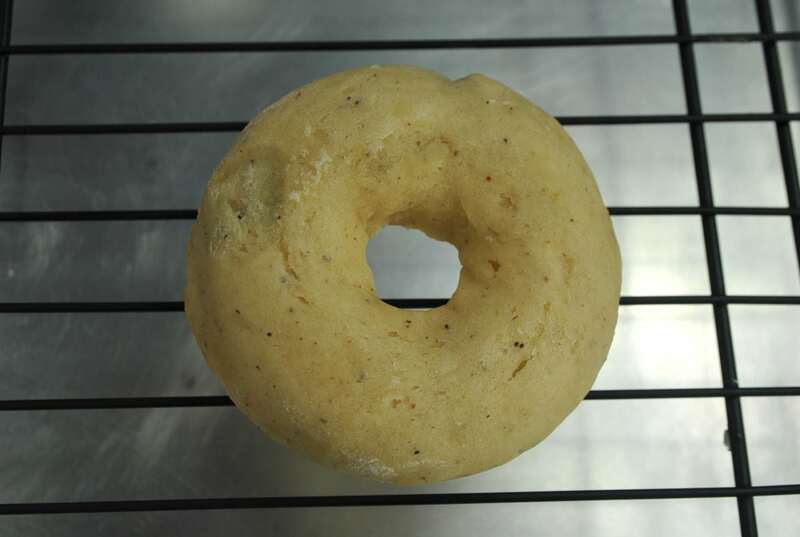 Frying can be crazy, but with the right donut pans , baking donuts is much easier. 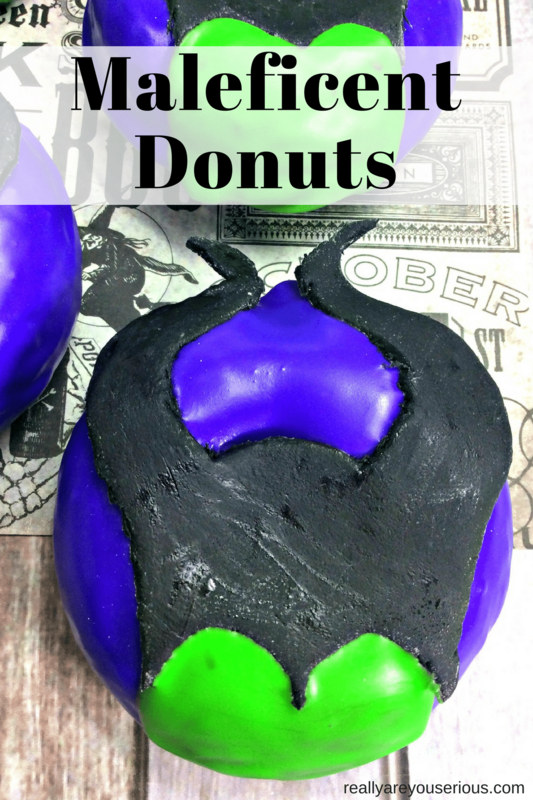 These baked donuts allow for more creativity too so even the most novice of bakers can create these masterpiece Maleficent Donuts. 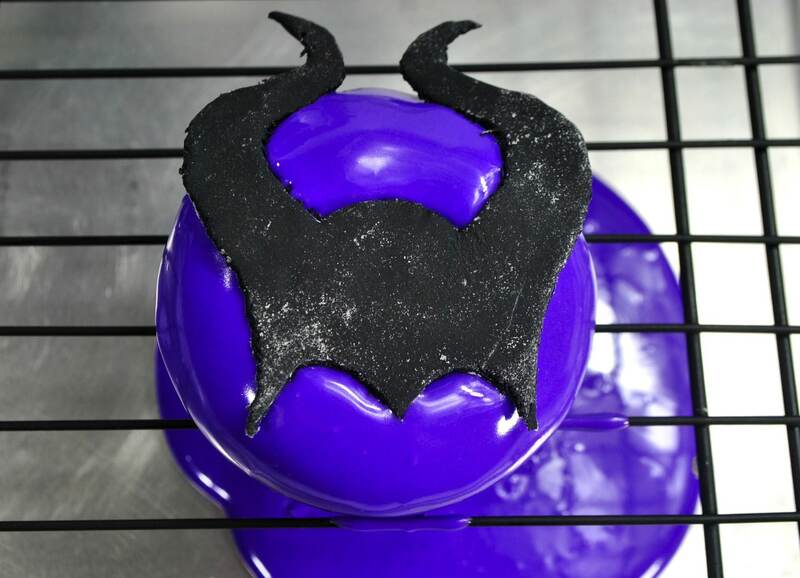 You’ll want to start with your fondant and the horns because they require one hour of drying time. Using a google image, or freehand, create a horn stencil on paper. 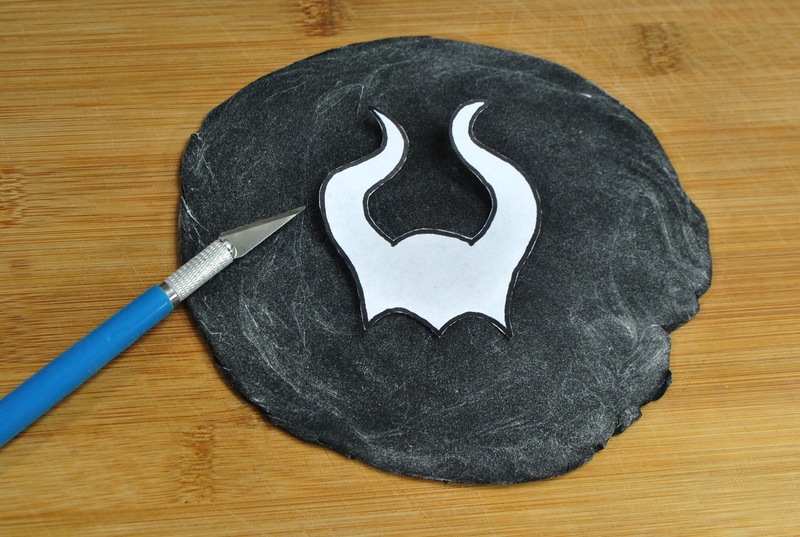 You’ll need an exact knife or another sharp source to cut your horns out of the fondant. Make sure you keep some powdered sugar around for rolling out the fondant to create more horns. The donuts recipe should create around 15 donuts, so use that at your guide for how many you need to create. Allow the horns to dry for one hour. While they are drying, work on baking the donuts. 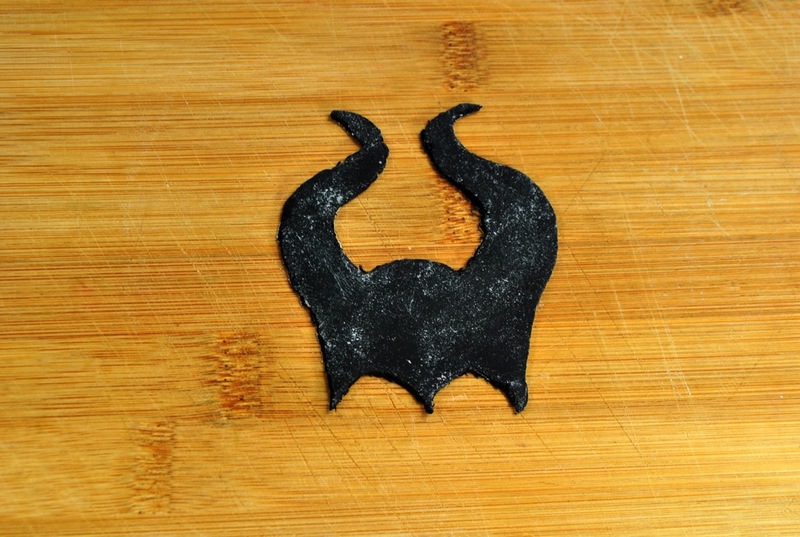 While your Maleficent horns are drying, you’ll want to start on your baked donuts and allow them to cool. You will find the full recipe below. Covering the entire donut with your purple icing, you’ll be creating the backdrop for Maleficent. Yes, you are covering the entire donut. To make them look best, you’ll want to elevate the donut on a wire rack on top of a cookie sheet. This way the purple covers more of the donut and you’ll have an easier cleanup. Then it’s time to start piecing it all together by placing the horns on the center of the donut. And you’ll finalize the look of your donut by piping in green icing to make Maleficent’s face. If you wanted, you could also leave the icing white and have her have a white face, as the green, I feel comes more from Sleeping Beauty (which if I’m being honest is one of my least favorite princess movies). From there, you are ready to go! I think you will enjoy making these as they are a pretty easy custom donut recipe you can make alone or with your kids. With my girls loving baking so much more than I do, they don’t even like me to assist with Maleficent Donuts. 1 box of Black fondant. This can be bought from Michaels Hobby Lobby, or Walmart in the cake decorating section. Repeat steps and cut out 14 more Maleficent horns out of space that you have left of the rolled out fondant. Using the green piping bag, cut the tip of the piping bag and fill in the bottom part of Maleficent's horns for her face. Allow icing to dry for an hour before enjoying! This is such a great idea. I loved Maleficent the movie and I can’t wait for part 2!